Enthralling Large Pink Kunzite Genuine Gemstone, Oval cut, 21.82 carats Top gem color, great cut & life, a real beauty. NOTE For a more detailed description of this beautiful Kunzite gemstone please Contact Us and it will be quickly provided to you. 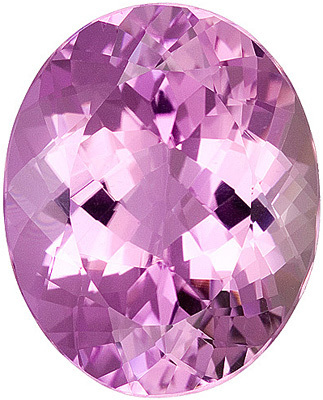 Learn About the Young Kunzite Gemstones - What is Kunzite? We are all familiar with most Gemstones like Sapphires, Rubies and Pearls. Yet every now and again a new Gemstone comes into light. Kunzites were only discovered in California in the early nineteen hundreds and given a comprehensive description by the New York jeweler and gemstone specialist George Frederick Kunz � hence the name �Kunzite�. Although originally discovered in California, today they are mainly mined in Afghanistan, Madagascar, Brazil and the USA. This gemstone is a member of the Spodumen family belonging to the class of the chain silicates. Not only is it a beautiful stone, it is also said to enhance a person�s capacity for devotion and understanding and bestow inner peace and �joie de vivre� in its wearer! Depending of the angle that you look at a Kunzite, it can appear violet, pink or colorless. Some Kunzites, especially those found in Afghanistan display a rich, strong violet, a light violet and a light green depending on the angle of observation. Most Kunzites however have a fairly light color. 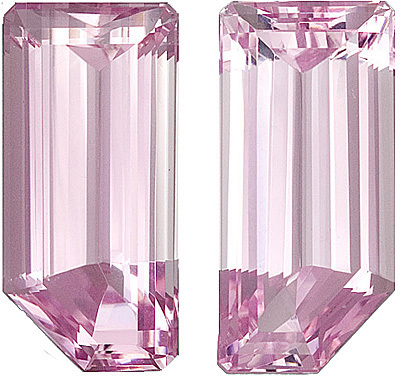 Strongly colored Kunzite is rare and correspondingly more valuable. The Kunzite is a very attractive pink gem, but it is notorious for its habit of fading with prolonged exposure to sunlight. Although the effect of fading is very slow, Kunzite has been regarded as an evening stone because most wearers prefer to wear their Kunzite in the evening. 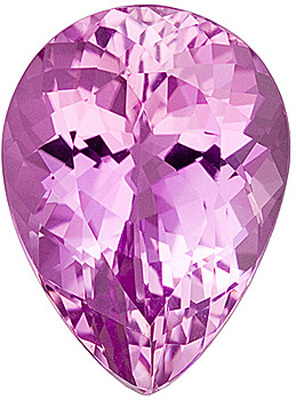 Beautiful Faceted Kunzite Gemstones are affordable! Kunzite is a pretty hardy stone which scores between 6.5 and 7 on the Mohs scale. It is, however, extremely difficult to cut due to its perfect cleavage. Once it has been given its final shape it becomes uncomplicated and the silvery gloss on its facets forms a beautiful contrast to the fine violet-pink of the gemstone. It is usually heat treated to intensify its color and remove brownish tones. 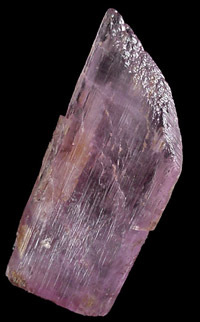 Kunzite gemstones are relatively affordable due to extensive deposits that yield large amounts of this gemstone.